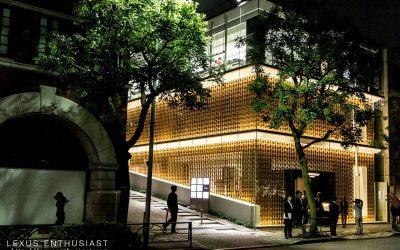 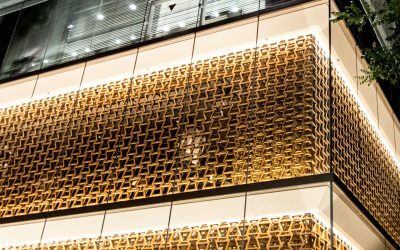 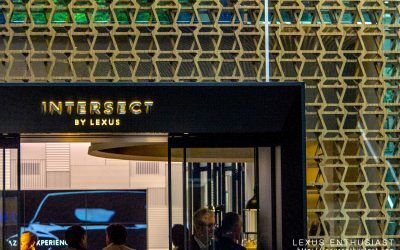 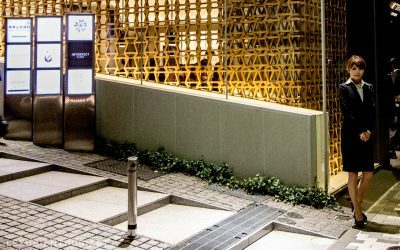 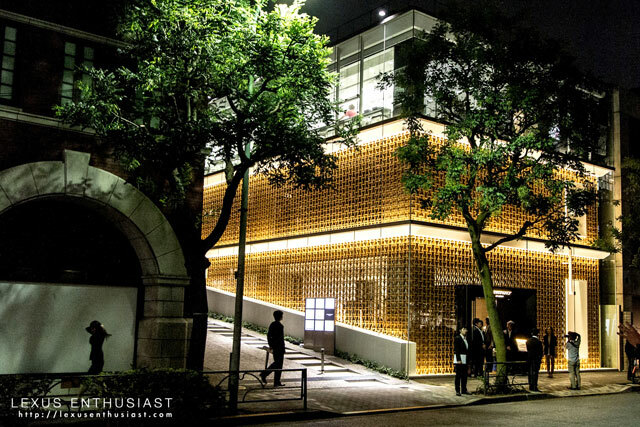 A week ago, I attended the opening of INTERSECT BY LEXUS in the Aoyama district of Tokyo, Japan. 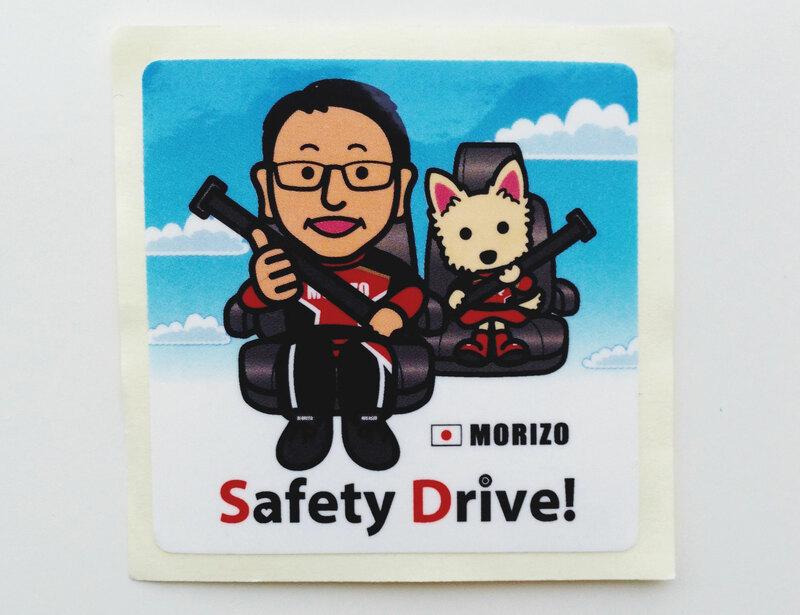 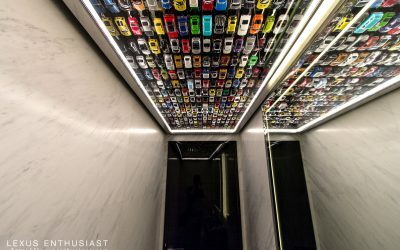 Like many of you, I had seen the photos and watched the videos, but even so, I wasn’t sure what to expect. 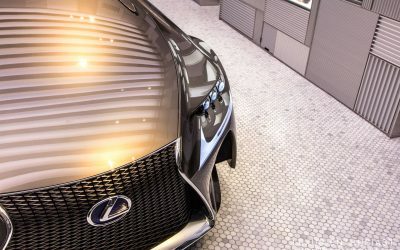 The vehicle on display will change periodically, but it will always be a Lexus concept or special edition model like the LFA — a mass-market production vehicle will never be featured. 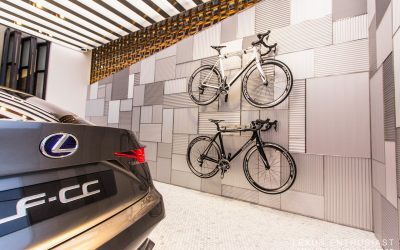 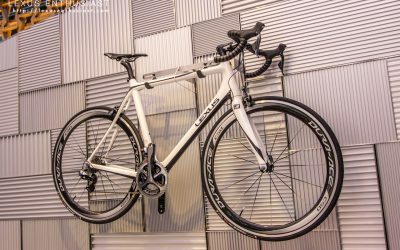 This makes The Garage the single most important room in INTERSECT for Lexus enthusiasts, as it’s an opportunity to get close to a near-priceless vehicle in a way that’s not even possible at an autoshow. 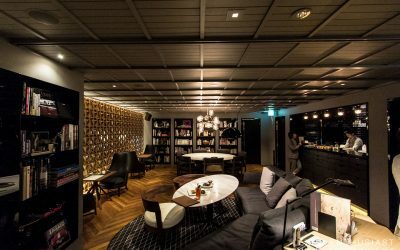 There’s a VIP bar in the basement level, and it was a strict no-photo zone — the room resembled a cave, with a curved wooden roof and very little light. 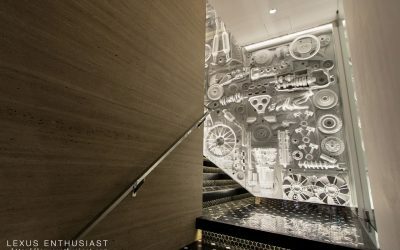 The level of detail was amazing, with carbon-fiber tables & Lexus leather bench seating — however, the standout feature was a wall-length hand drawn illustration depicting famous landmarks around the world. 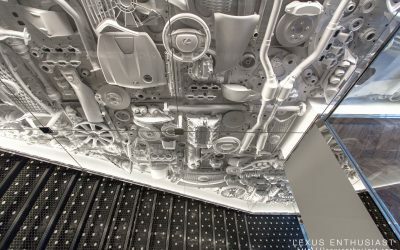 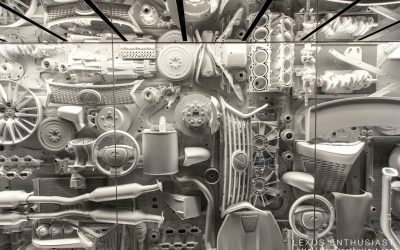 This was my favorite part of the whole building — visually impressive and incredibly expansive, the white wall reinforces INTERSECT’s purpose as a representation of Lexus. 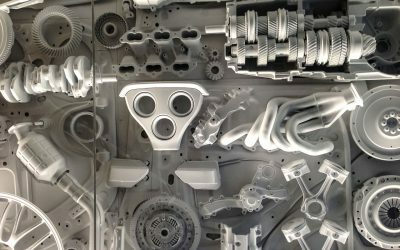 I spent the plenty of time staring at the assorted parts, trying to sort out which model it belonged to — it’s an amazing thing, and will be featured in all future INTERSECTs. 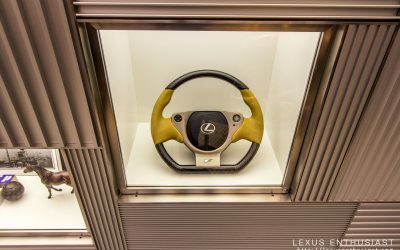 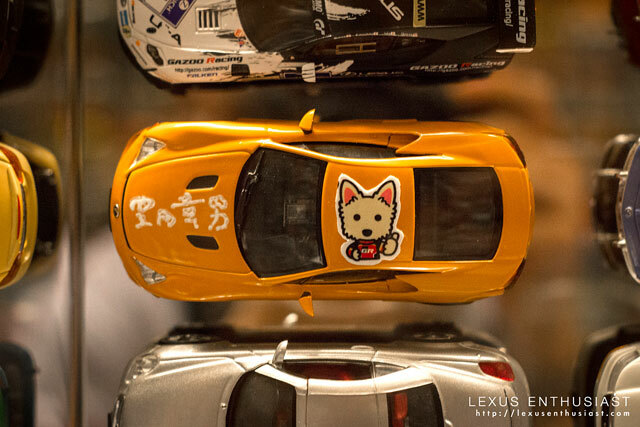 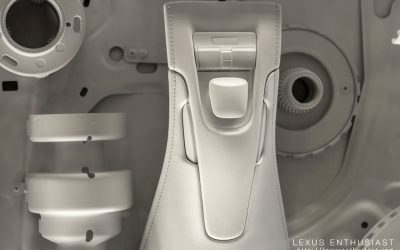 It’s a beautifully curated collection, with a level of detail that manages to reflect the characteristics of Lexus without necessarily being car-related — that said, it’s very expensive due to the items being small-batch runs and handmade (for the most part). 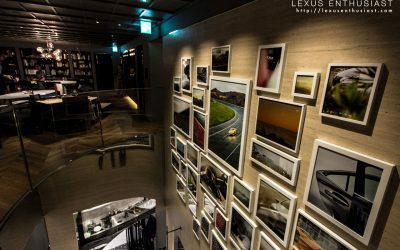 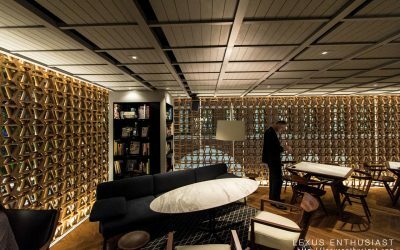 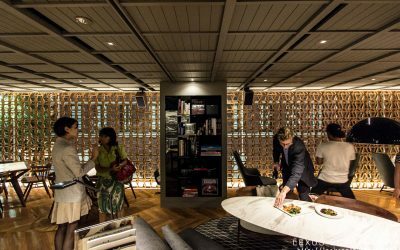 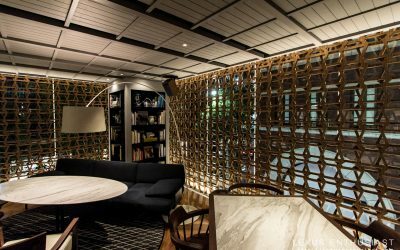 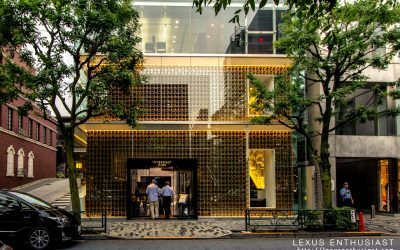 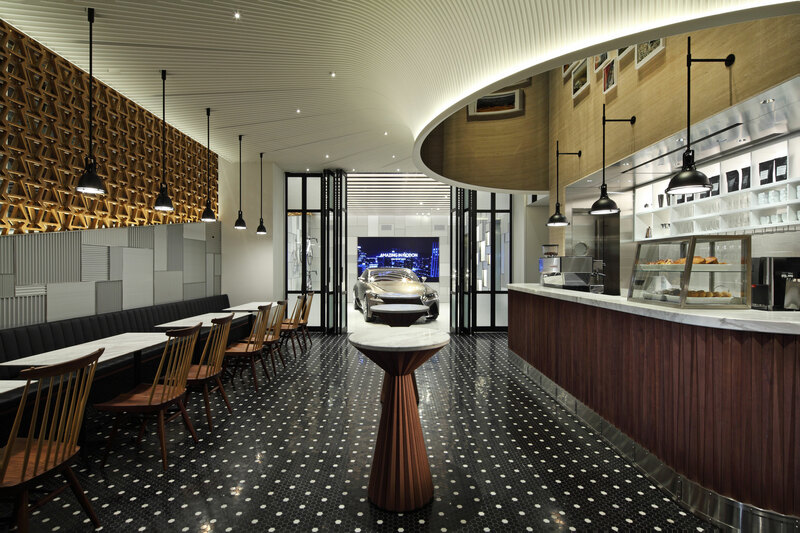 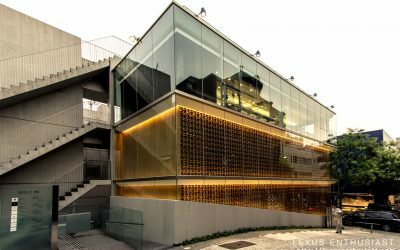 Between the coffee bar downstairs and the restaurant upstairs, INTERSECT captures the comfort & accommodation you might expect from a Lexus dealership, but it’s at a whole other level — the hospitality feels right at home in Japan, and would be a reason to visit on its own. 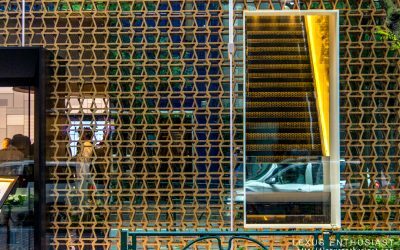 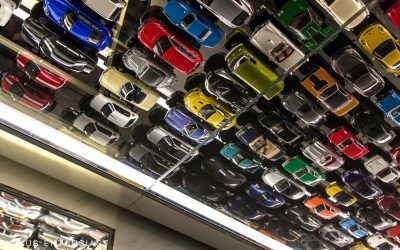 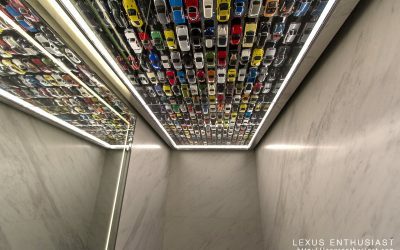 So much has been made about INTERSECT being an “unique space”, or a “boutique gallery” — these are unfamiliar concepts that are difficult to explain, particularly when it comes from an automotive brand. 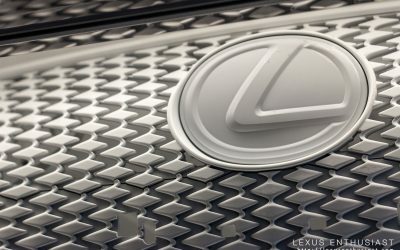 It’s clear that Lexus is undergoing a transformation. 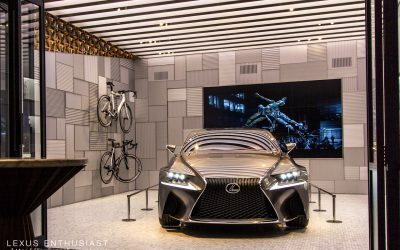 It started with the introduction of the fourth-generation GS, continued throughout the lineup, and has now brought massive lifestyle-driven initiatives like Lexus Short Films, the Design Awards, and now INTERSECT BY LEXUS & the CRAFTED FOR LEXUS collection. 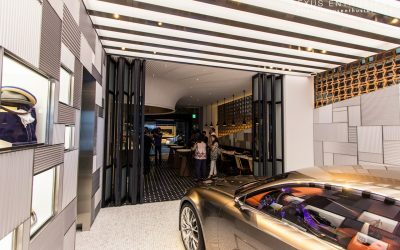 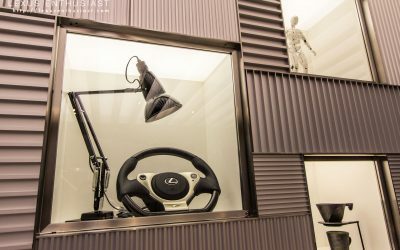 There are concrete reasons why a Lexus enthusiast would want to visit — the concept car is a killer feature, the white Lexus parts make for a staggering display, and the coffee is superb — but there’s something more, something deeper happening within the glass walls. 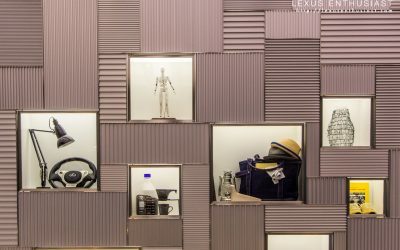 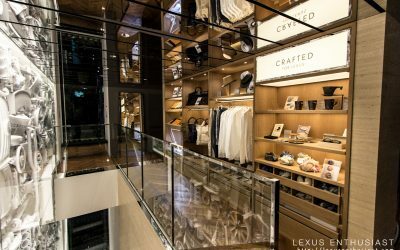 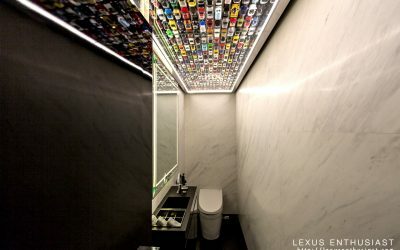 I didn’t understand the purpose until I walked in the front door, but now it’s clear — this is the home of Lexus, a tangible representation of the brand’s emerging personality and a reflection of what it wants to mean to its customers. 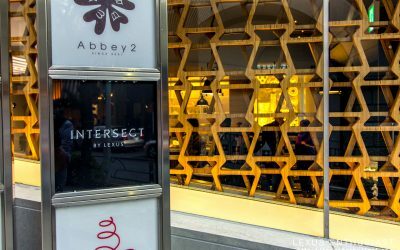 INTERSECT BY LEXUS is now open, and is free to enter. 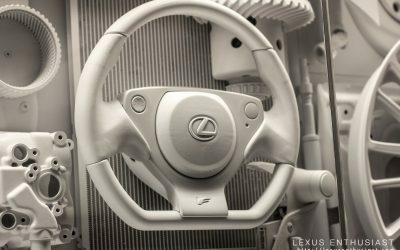 The conversation was brief — we talked about the two-tone LFA I photographed last year, and touched on some basic details about my website. 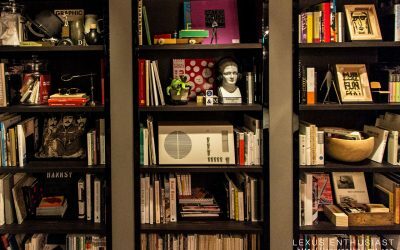 It was an incredible moment, perhaps the greatest single thing that has happened since starting this website six years ago. 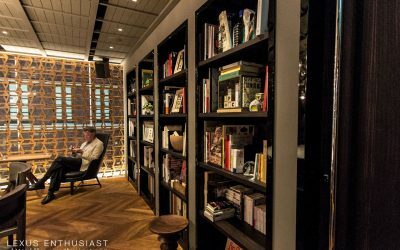 For this, I have to thank my readers — it would not have been possible without your support. 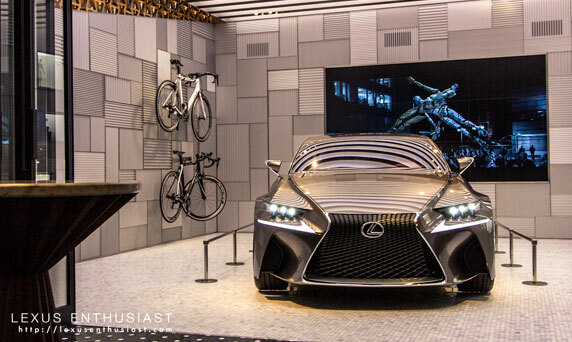 I also have to thank the Lexus International team for arranging my visit and their hospitality during my trip. 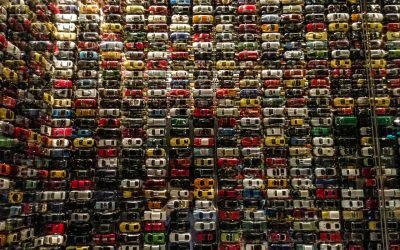 krew: Yeah, I might not have known myself, except everyone kept mentioning it to me. 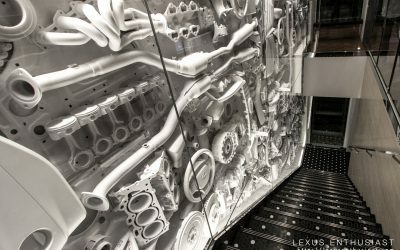 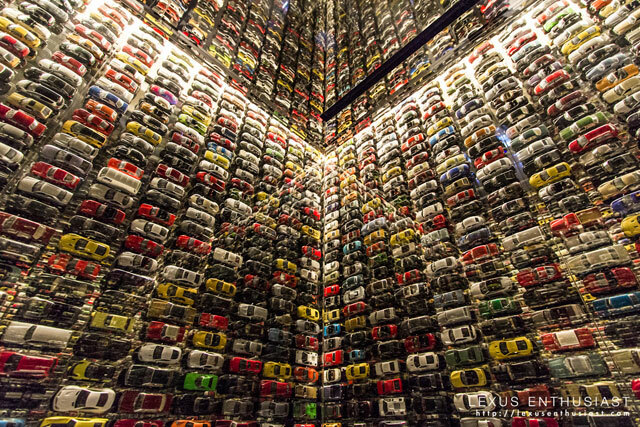 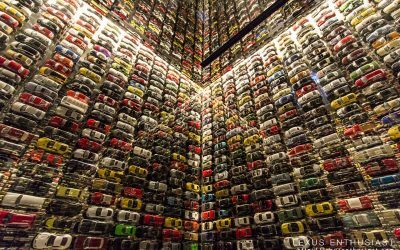 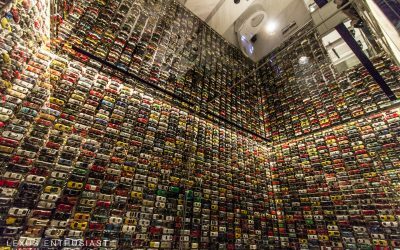 F1orce: The best part is the staircase wall. 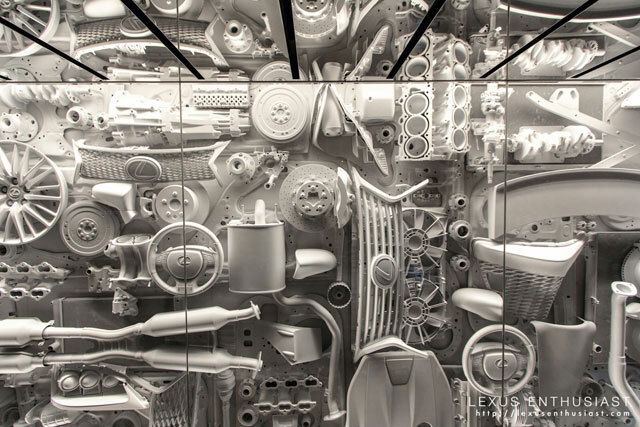 Those seem to be all actual modelled components. 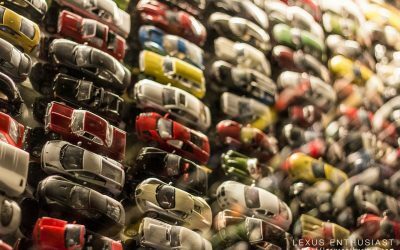 krew: They're all directly from the full-size vehicle -- it's really impressive.